Preventive Dental can assist with dental implants for all needs and requirements. 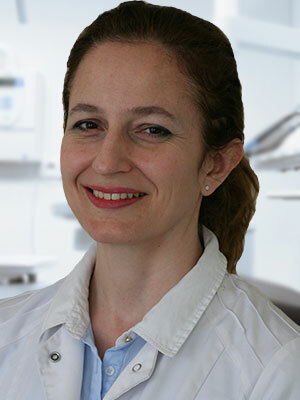 We have a specialist, Maria Retzepi, who deals purely with implants for our customers. A dental implant is used to support one or more false teeth and is simply a titanium screw that can replace the root of a tooth when it fails. Just like a tooth root, it is placed into the jawbone. To make an appointment, call us today on 020 8874 3877 or email us smiles@preventivedental.com. A dental implant essentially substitutes for a missing tooth root. It is commonly cylindrical or screw-shaped. Each implant is carefully and precisely drilled into the location of the intended tooth and provides a foundation for long-term support of replacement teeth. Almost all dental implants in use today are made from titanium or titanium alloy, including the ones we use at Preventive Dental. These materials have been shown to be well tolerated by bone. The terms ‘osseointegrated implants’ and ‘endosseous implants’ are widely used to describe dental implants that can develop and maintain a close union with bone in order to support replacement teeth. If you have missing teeth then one of the alternatives is to do nothing at all and just leave the gaps. In many cases this may be fine however, there are risks attached to this. Your teeth are in fine balance with one another, your adjacent teeth prevented each other from tipping and the teeth which oppose each other, on opposite jaw, prevent each other from drifting. This means that if you have a tooth removed there is a tendency for the teeth either side to take into the gap. The tooth on the opposing jaw will also have a tendency to drift down or up. The aesthetics of the tooth opposing the space are compromised, take a look at the line of the gum margin in the image here, notice how it is lower than it would have been. 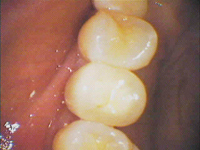 The same effect would also happen if an upper tooth was removed, the lower tooth opposing it would drift upwards. The gap where your teeth removed get smaller, this can mean restoration with either a bridge or dental implants at a later date is far more difficult. Dentures and dental bridges can also be used to replace missing teeth, however dental implants also support the bone around the tooth socket. This support means that the bone doesn’t shrink which maintains healthy bone structure and aesthetic of the area. Dental implant therapy has been around for many years and Preventive Dental have a proven track record. 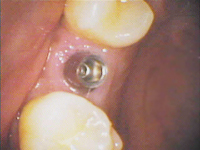 Improvements in materials and surgical techniques have made dental implants the gold -standard treatment in many instances for the replacement of missing teeth. Implants can be used to replace a single tooth, multiple missing teeth or to replace teeth in cases with complete tooth loss. Therefore, almost any situation can potentially be treated with this modality. However, various factors need to be taken into consideration such as bone volume and quality, tooth and jaw relationships, oral habits and general medical health. Your dental surgeon will assess your suitability for treatment with these implants. Phase 1: Treatment Planning – Thorough assessment of your medical health, oral health, the way your teeth fit together and bone volume will be performed to produce an individualised treatment plan. Phase 2: Surgical Treatment – A minor surgical procedure is carried out to place titanium fixtures into bone. If bone and/or soft tissue are insufficient, there may also be a need for additional bone or soft tissue grafting procedures. Phase 3: Restorative Treatment – After integration of the implant fixtures to the bone, ‘new permanent teeth’ will be designed and fabricated to fit over the dental implants. Would you like callback to discuss replacing missing teeth? It typically takes our team about four months to a year to complete the entire treatment. This would depend on case complexity as well as the need for additional procedures like bone grafting. ‘Immediate loading’ implant, where the entire implant treatment is completed within the same day, is possible for a few selected cases. How do I maintain these implants? 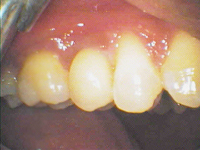 These ‘new teeth’ are maintained in much the same way as normal teeth. Specific brushing and flossing techniques will be taught, as well as regular dental checks on the implants. Good oral hygiene is required to ensure the long-term success of your implants. If the titanium fixtures have successfully integrated to the bone and are properly maintained, they should last for many years. However, just as you would expect conventional crowns, bridges and fillings to need occasional repairs or replacements during the course of their lifetime, your implant-supported teeth may also need similar maintenance. 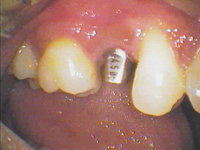 Sedation is rarely used for implants and is generally only used for very complicated cases.